There remains a very strong possibility that Florida trades defensemen Jason Demers because ownership has requested the team to cut their payroll. The Leafs and Canadiens have come up as potential landing spots, but a quality defenseman of his calibre is likely to generate a lot of interest. Ilya Kovalchuk might end up staying in the KHL when all is said and done, but if he returns to the NHL, the Maple Leafs, Blue Jackets and Rangers are rumoured to be high on his list. UPDATE: Kovalchuk is staying in the KHL for at least another year. The hockey world continues to watch and wait while Avalanche GM Joe Sakic sifts through the trade market for Matt Duchene. Nashville and Columbus remain the current frontrunners, but neither overly close to making a deal. That leaves open the possibility of a darkhorse entering the mix. The Sharks, Hurricanes, Penguins, Blues, Senators, Islanders, Canadiens and Ducks have all expressed interest over the past few months. 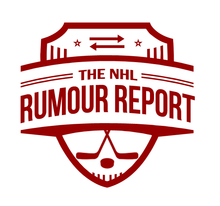 Also in the rumour mill for Colorado are Gabriel Landeskog and Tyson Barrie. At this stage it seems unlikely either are dealt. Some near the organization ruled out the possibility of a Barrie trade as soon as the Avalanche lost out on UFA Kevin Shattenkirk. Jaromir Jagr has been linked to the Canadiens in the past, and he might not be a bad option for one year at a reasonable number following the departure of Alex Radulov. Marcus Kruger's stay with the Vegas Golden Knights could be short, with rumours suggesting he could be flipped in the coming days.